The Fall 2017 semester is complete, and just in time for the holidays! This term was very rewarding, with many events taking place. We held our very first Fall Dog Days, which was wildly successful and will continue to take place in the spring. We met brothers new and old during our 50th reunion, with over 200 participating brothers. 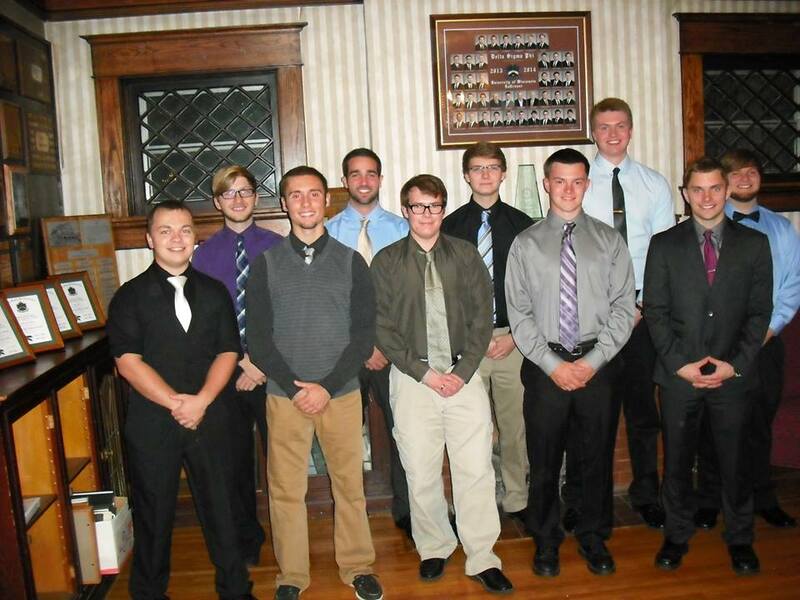 We initiated nine amazing new members who bring great promise to the future of our chapter. Most of all, we maintained academic excellence through the onslaught of events. Happy holidays; we will be back in February! 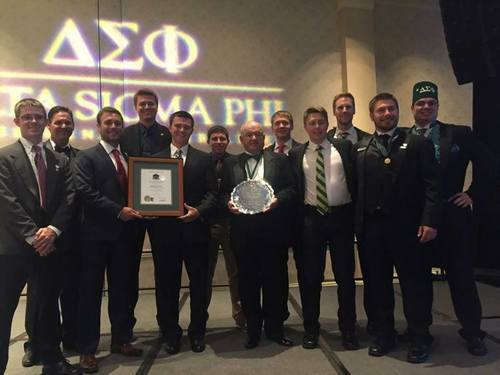 Epsilon Iota honored at the 2017 Delta Sigma Phi Convention in Baltimore! Meet the New Member class of Fall 2017! For these ten, the journey to becoming a Better Man has begun! Epsilon Iota supports the Greek Community! It’s a busy Sunday for Epsilon Iota! Today we were happy to attend not one, but TWO philanthropy events for Fraternity and Sorority Life at UW-La Crosse! 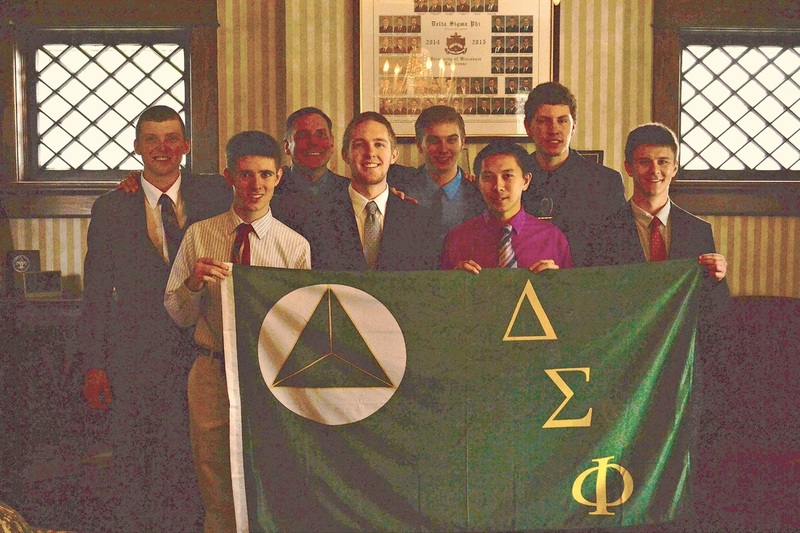 On the University of Wisconsin-La Crosse campus: a group of Epsilon Iota brothers were able to attend Alpha Xi Delta - Delta Alpha Chapter (UW La Crosse)’s “Xi Marks the Spot” event, while another group of us were also at the UWL Alpha Phi “Red Dress Brunch” event at The Waterfront Restaurant and Tavern! 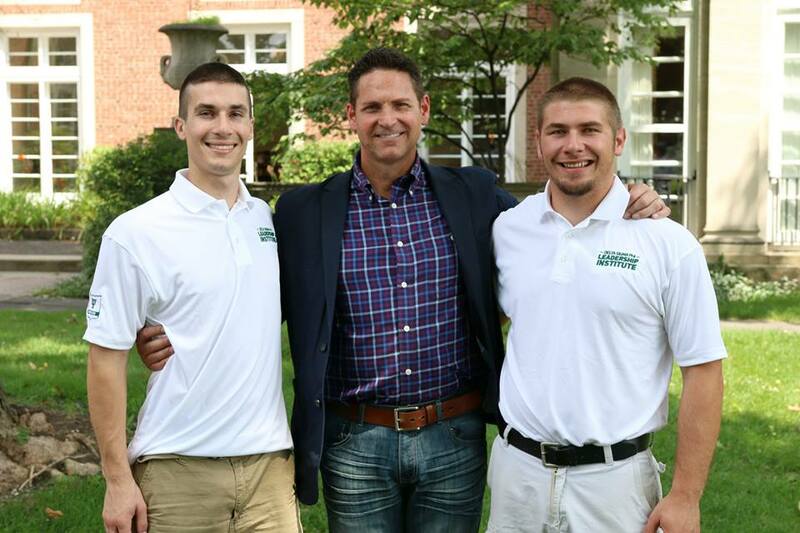 For the 3rd consecutive year, Epsilon-Iota has had two men selected to Delta Sigma Phi's flagship leadership program, the Leadership Institute. Garrett Paulson and Austin Kilburg were selected to become part of the Psi class of the program. Their hard work and dedication to the Fraternity has been a shining light on our mission at Delta Sigma Phi and we can't wait to see how they can keep the tradition alive for our chapter. Additionally, one of our alumni, Ken Riley, was a facilitator for the program. Epsilon Iota had great representation. Congratulations everyone. For more information on the Leadership Institute, click this link. 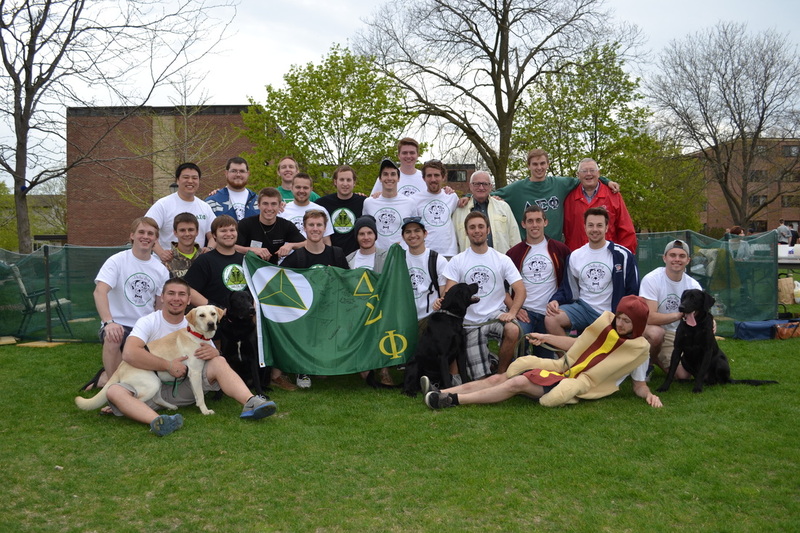 Epsilon Iota hosted their first annual Delta Sig Dog Day philanthropy event. The event consisted of yard games, raffle prizes, hot dog and corn dog sales, and a chance for patrons to enter the "Dog Zone." The "Dog Zone" was a place for people to pet and play with dogs. The proceeds were split between the American Red Cross and Capable Canines of Wisconsin, which had supplied the dogs. The event raised over $800 in total and brought many people out to support the causes and learn more about Delta Sig. Big thanks to the philanthropy committee for the planning. Click here to look at more photos. 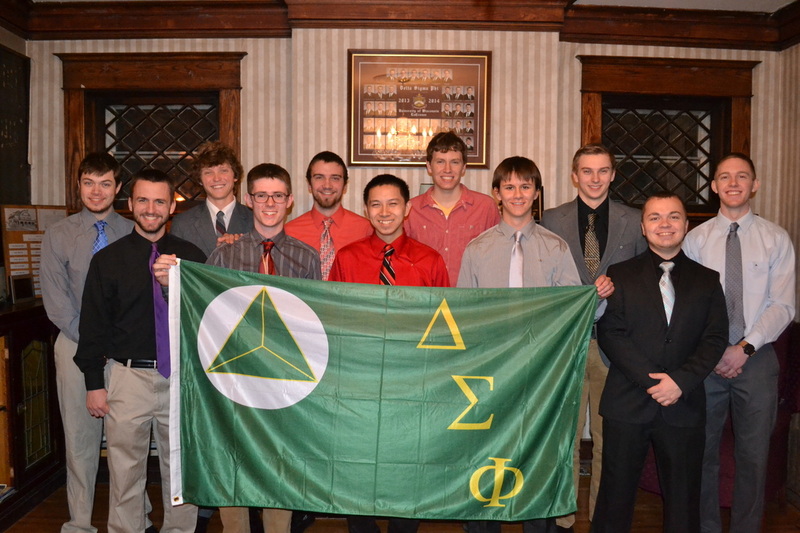 The Epsilon Iota Chapter is happy to announce there have been 8 new men initiated into Delta Sigma Phi. 7 are new undergraduate members and the last is our new Faculty Advisor, Jay Lokken. Jay is replacing Don Sloan who has given a lot back to the chapter over his years and we thank him for it. We are elated of their new journey of being Fraternity men and cannot wait to see the great contributions they will make. 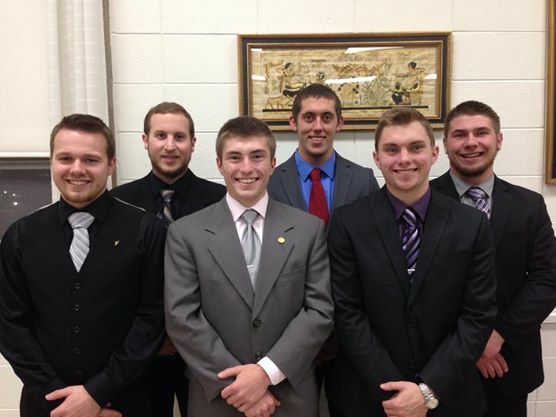 Welcome to Epsilon Iota! We are ecstatic for them to start their journey to becoming Fraternity men! We are excited for their leadership and guiding the future of our chapter!